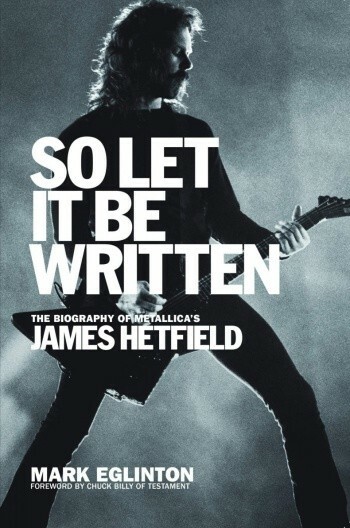 OK, if you get Testament's Chuck Billy to write the foreword to your book, you'll instantly have my attention, and that's exactly what author Mark Eglinton did for So Let It Be Written: The Biography of Metallica’s James Hetfield. Also behind the books Official Truth, 101 Proof: The Inside Story of Pantera and Confessions of a Heretic: The Sacred and the Profane: Behemoth and Beyond, Eglinton is a Scottish writer who is clearly equipped to tackle such an enigmatic figure as Hetfield. After Billy's aforementioned foreword, Eglinton starts off So Let It Be Written with a story from his youth in the mid-'80s when he caught Metallica on their Damage, Inc. Tour. From there, the author details the metal icon's complicated upbringing. Some of these aspects of Hetfield's life have been written about before, but believe me when I tell you that Eglinton gets deeper into the details, offering insight into what helped shape both the man and the musician, both good and bad. 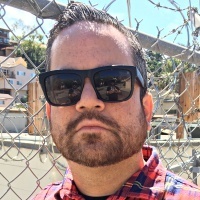 In addition to his friends, Eglinton spoke with some of Hetfield's past and present collaboraters, plus a who's who list of metal musicians, including members of Alice in Chains, Pantera, and Megadeth. From my standpoint, it always seemed as though a large part of Metallica's rise from garage to stadiums—from a behind-the-scenes context—was driven by Lars Ulrich's unyielding will to succeed. After reading So Let It Be Written, my thoughts on that perception have changed. While Ulrich was clearly the more ambitious of the two young musicians, Hetfield also had a burning desire to "make it." Oh, speaking of those early Metallica years, Eglinton will also have you entering the name "Hugh Tanner" into Google after reading the early part of the book, but I won't spoil that now. Ultimately, Eglinton presents a fair portrait of an often misunderstood soul who despite all the odds, has gone on to become one of the most important musicians of his day.